You’ve probably seen Mrs. Renfro’s salsa label in big grocery stores across the nation, and you’ve probably unknowingly eaten some of the company’s barbecue sauce in restaurant chains. The story of Mrs. Renfro’s salsa is one of adaptation, nimbleness, growth, innovation, and ultimately automation. Mrs. Renfro’s brand shows that automation in manufacturing lets small businesses evolve, stay profitable and ultimately stay relevant against corporate giants. “We’re competing against the big guys. And we can because we are innovative and nimble,” said Doug Renfro, president of Renfro Foods, Inc. The company started 77 years ago in Fort Worth, Texas where the salsa was made in open kettles with boat oars because the Renfros could not afford pumps and agitators. The company is growing, and a lot of it has to do with technology. When Renfro was a child they could manufacture about 31 bottles a minute. Now they can create 141 bottles a minute. They manufacture about 60,000 jars a day. However, automation and technology are not everything in a 77-year-old business. Renfro said technology coupled with the ability to outwork the bigger competition has helped the brand succeed. The Renfro brand has the ability to adapt and change more quickly. For example, they did not waste time launching Ghost Pepper Salsa. Within three years, the salsa went to their third best selling item in three years, which is unheard of. HingePoint provides AutoDesk, SharePoint and Salesforce consulting for the Commercial Real Estate and Construction companies. HingePoint also helps the AEC industry with development & integration of AutoDesk products with enterprise systems. As members of the AutoDesk Development Network, we are a trusted partner with over 25 years experience of systems development and integration work in the AEC industry. Our clients range from top hotel brands and restaurant chains to AEC firms and real estate developers and Facilities Management. We provide BIM with ROI. Results Guaranteed…Literally Guaranteed. The biggest trend for almost every business is this burden to outperform how they did last year and competitors. In the commercial real estate area, there are trends that can directly influence how these companies work and achieve maximum growth. Real estate developers want to build faster and reduce expenses, just as any good business wants. But the major difference for developers is that they are starting to feel more pressure to perform. Deloitte states that developers will begin leveraging new technologies and fix integration issues with legacy systems. 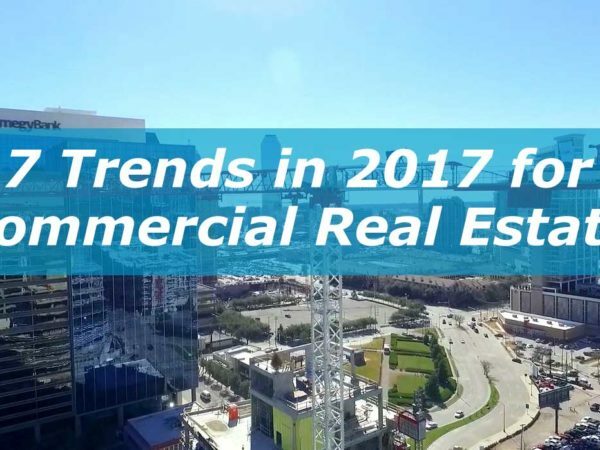 Here is HingePoint’s take on the top technological trends for commercial real estate developers. Taking control of company information is one of the most difficult and one of the most critical tasks any company can take on. And believe it or now, SharePoint is still one of the top enterprise tools out there for collaboration, and sharing and organizing information. Sell and lease real estate faster by using one aerial drone photography. Create a video with drone footage to show off your property in a way never shown before. Perfect for marketing properties to prospects. HingePoint provides AutoDesk, BIM and Revit consulting & services for the AEC industry with development & integration of AutoDesk products with enterprise systems. As members of the AutoDesk Development Network, we are a trusted partner with over 25 years experience of systems development and integration work in the AEC industry. We support development of Autodesk products including AutoCAD, Revit, M, BIM360 and are experts in integrating with enterprise systems including Salesforce, SharePoint & Office365. Our clients range from top hotel brands and restaurant chains to AEC firms and real estate developers and Facilities Management. We provide BIM with ROI. Results Guaranteed...Literally Guaranteed. [post_content] => Because of automation, manufacturing has shifted from the old “metal-bashing days” to a profession that requires workers to constantly update skills. If not, then employees will be left behind with new technologies and faster ways to get from initiation of an idea to completion of a product. Automation is not only changing how products are delivered, but it is changing the necessary skills of employees and workers. “Manufacturing increasingly calls for brain work rather than metal-bashing,” The Economist stated in their special report on automation. Computer aided design made automation possible. But with computer aided manufacturing gaining momentum in today’s economy, the blue-collar worker is no longer as necessary. With today’s broad market, the ability to make quick decisions and get work finished faster is becoming more and more critical. However, CEO of HingePoint Bryce Finnerty said technology is not the only answer when wanting to move faster. HingePoint helps commercial real estate, construction and manufacturing companies build faster by creating custom enterprise software that takes control of company information. The number one driver for new software or systems is the ability to instantly see company information so executives and employees can make better and quicker decisions. Brendan Desjardins, one of HingePoint’s leading project managers, said many manufacturers that work with HingePoint think all they need is a quick fix for something like SharePoint.